Mortgage Insurance - Who needs it? If you’re buying a house with less than 20% down payment, the answer is YOU. 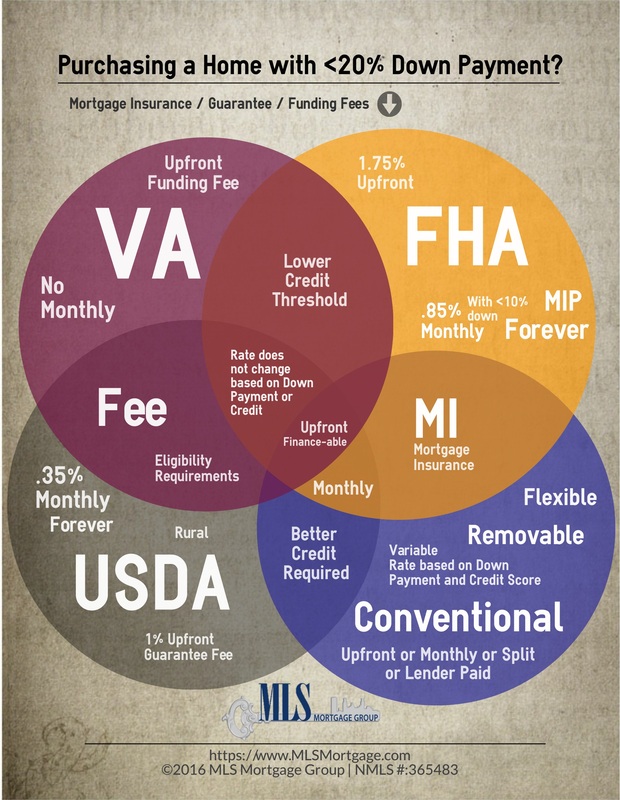 Mortgage Insurance is often abbreviated in the industry as “MI”. Some conforming home loans with less than 20% down do offer “No MI” or Lender-Paid MI. That option can be advantageous if you only plan to be in the home before the MI would have a chance to be removed. Posted in Buying a House, Credit, FHA Loan, Mortgage, Mortgage Insurance, Mortgage Questions, Mortgage Strategy, USDA, VA Home Loan and tagged Conforming Loan, Conventional Loan, Down Payment, FHA, FHA Loan, FHA Loan Requirements, fha mortgage insurance, LPMI, MI, MIP, Mortgage Insurance, PMI, private mortgage insurance, UFMIP, USDA loans, USDA Rural Development, VA Home Loan.